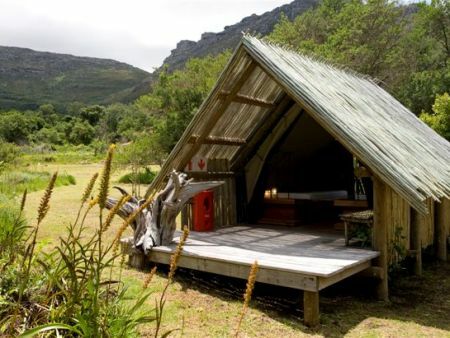 Experience this unique accommodation at Orange Kloof Tented Camp in Hout Bay, nestled among an ancient Afromontane forest. 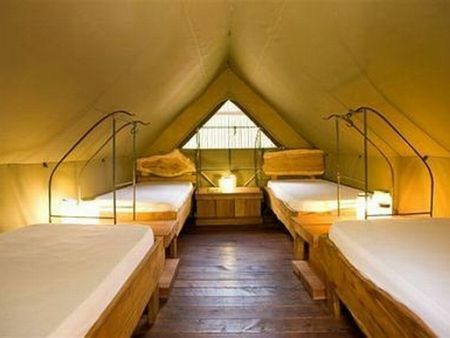 Situated within Table Mountain National Park near Hout Bay, this camp is a mere 20 minutes from Cape Town city centre. 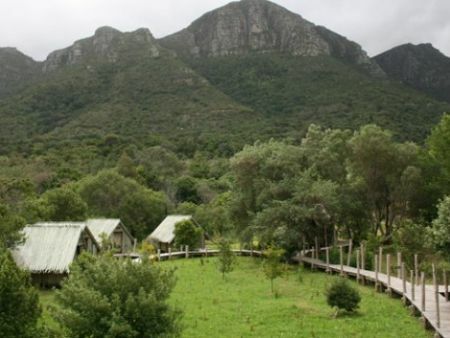 Orange Kloof camp is perfect for hikers or anyone wanting to just get away from it all. Falling asleep under a canopy of stars, listening to the Disa River and an owl hooting, waking to a bird chorus, it doesn’t get better than this. 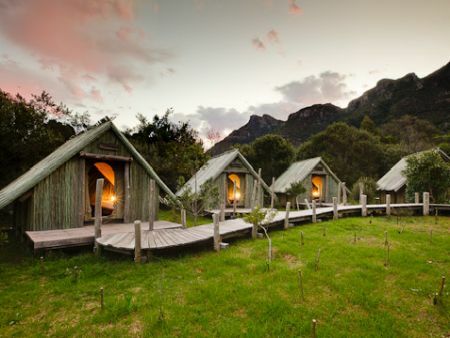 Orange Kloof tented camp in Hout Bay has always been a special piece of paradise surrounded by the urban sprawl of the bustling metropolis of the Republic of Hout Bay. 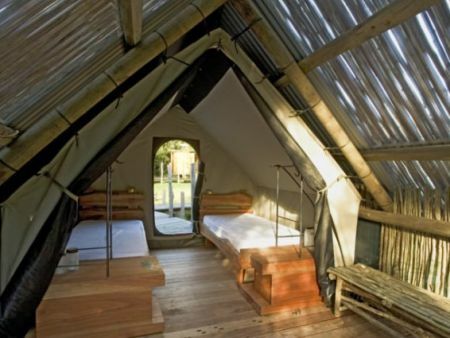 Each of the tented camps has a theme, and the Orange Kloof theme is ‘forest’, nestled among ancient Afromontane forest. What a pleasure to view the surrounding peaks from the raised viewing tower before relaxing around the fire in front of the boma. The 4 x 2 sleeper and 1 x 4 sleeper "tents" are permanent structures, with canvas interiors covered by a completely weatherproof sheeted roof. They are luxurious with thick mattresses in two or four-bed structures, constructed from alien vegetation harvested from within the park. 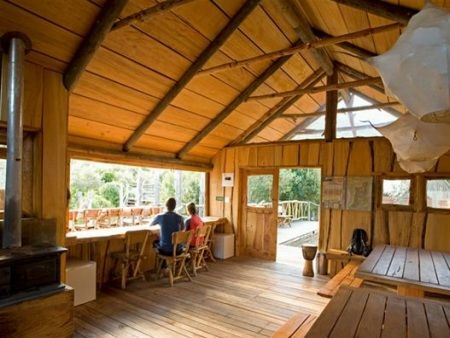 Orange Kloof, like all the camps, is designed on a "touch the Earth lightly" philosophy, with fully environmentally-friendly facilities. 4 x 2 Sleeper Tent and 1 x 4 Sleeper Tent. Single beds with mattress, pillow, bedding and towel. Communal Boma & Braai area. There is safe and secure parking at the camp. 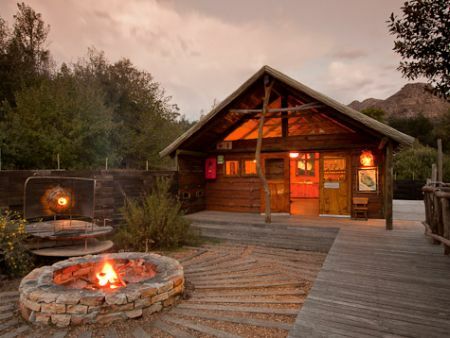 The camp has a large open outdoor braai area and boma. The outside “braai” facility may be used although this is weather dependant. 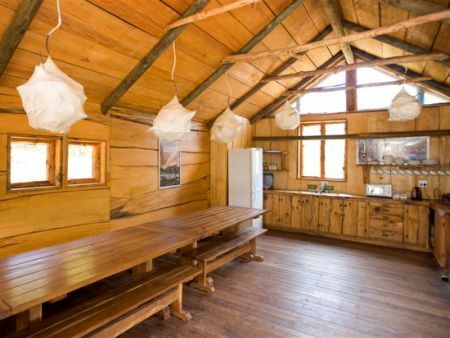 There is a large fully equipped kitchen for campers to use as they please, and neat, clean, outdoor showers and toilets. Rates: Based on per person sharing. Valid until January 2020.